For Hollywood celebrities, life is too short for compromise, especially when it comes to their taste buds. Our passion for excellence, quality and perfection guides everything we do. We are careful to ensure every bottle meets our strictest and highest standards in taste, texture and color and it’s what you taste in every single drop. 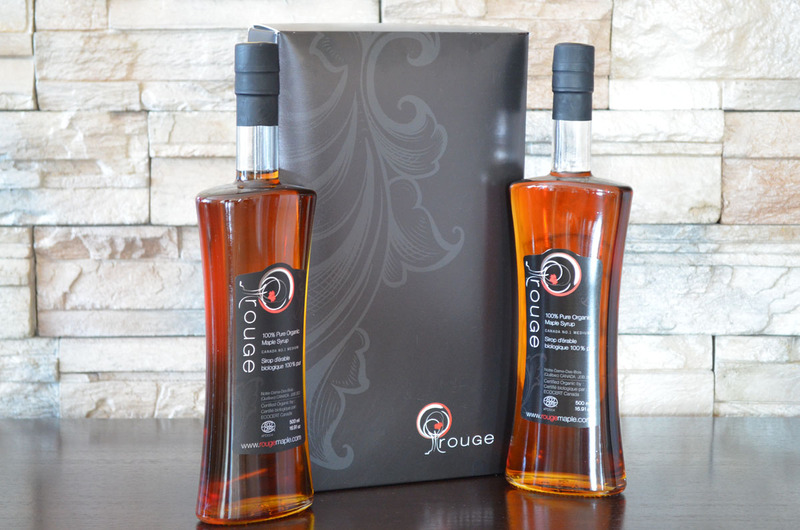 Rougemaple.com and its ultra-premium Rouge 100% Pure Organic Maple Syrup, will once again be part of the Oscars “Everybody Wins at the Oscars,” celebrity gift bags at the 2014 Academy Awards. RougeMaple.com was the first to offer consumers the opportunity to adopt a maple tree and receive all the maple syrup their tree produces. For the Oscars, Rouge created special VIP Adoption Certificates for celebrities receiving a gift bag. More commonly known as “Swag Bags,” Celebrity gift bags are given to artists that are nominated at the major award ceremonies in the entertainment industry. These gift bags can contain a wide variety of luxury and designer items with the value sometimes reaching the tens of thousands of dollars. They are often the topic of major network television shows such as Oprah, in the past and more recently, the Ellen DeGeneres Show. "Like last year, we wanted to offer celebrities a little something extra than the great products they would normally find in their gift bags. The Maple Tree Adoption is what makes us unique and something not available anywhere else. And it’s just fun,” comments a spokesperson from RougeMaple.com. It’s no accident that people recognize Rouge as the world’s highest-quality ultra-premium organic maple syrup. Every step in producing this fine organic maple syrup – from harvesting the sap in the pristine forests of Notre-Dame-Des-Bois, Quebec, Canada, to the centuries-old process and individual selection and packaging of each bottle – is done with the utmost precision and care. RougeMaple.com is a Canadian based online company that offers consumers and corporations (through corporate gifts) a unique way to purchase the highest quality organic maple syrup through its “Adopt-a-Maple-Tree” program. ROUGE maple syrup is 100% pure and 100% certified organic. 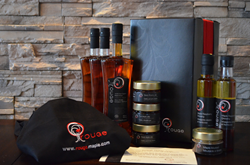 ROUGE gourmet products are based on proprietary recipes developed by executive chefs and produced with the highest quality ingredients and care. Please visit http://www.rougemaple.com for a full listing of our products.